A very simply trick Bill Blagg’s teaches here is how to make a Coffee Cup (or other plastic cup) appear to float! 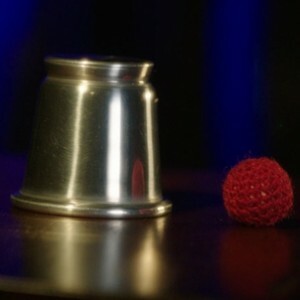 The trick requires nothing else than a cup that you are able to put a hole in, with the basic idea that you put a hole in the back of the cup and stick your thumb through the hole, you then appear to let go of the cup with your other fingers and voila, the cup appears to float in mid-air. A great trick to spend the afternoon tricking your family and friends. magician as well as those just starting in magic.